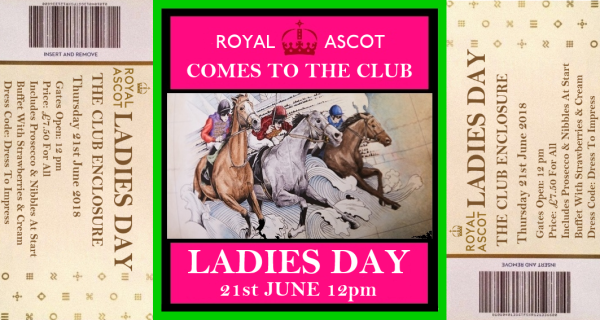 Ascot comes to the club on Thursday 21st June, we will be having our own ladies day. Put the date in your diary and start planning your outfit. Tickets now on sale £7.50 each, includes Fizz and Nibbles on arrival, Buffet Lunch, Strawberries and Cream.